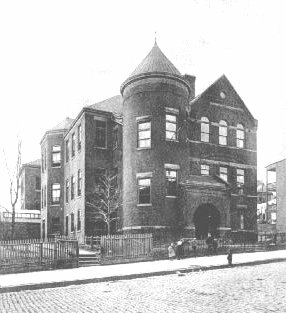 The Waverly Avenue School, erected in 1891-92, is a primary school of eight class-rooms, accommodating 480 pupils, and was opened October 20, 1892. The value of the site is $9,000 and of the building and furniture $25,000. The school commands a fine view of the city and of Newark Bay, Bayonne, Elizabethport, Staten Island, New York Bay and the Bartholdi Stature. This grand view is a daily inspiration to those whose good fortune it is to attend the school. In passing through the class-rooms, one is impressed with the happy spirit that pervades the entire school. At the same time, faithful work is done by both teachers and pupils.